Oktave is specialized in merging, transposing and distributing pitch CV signals. 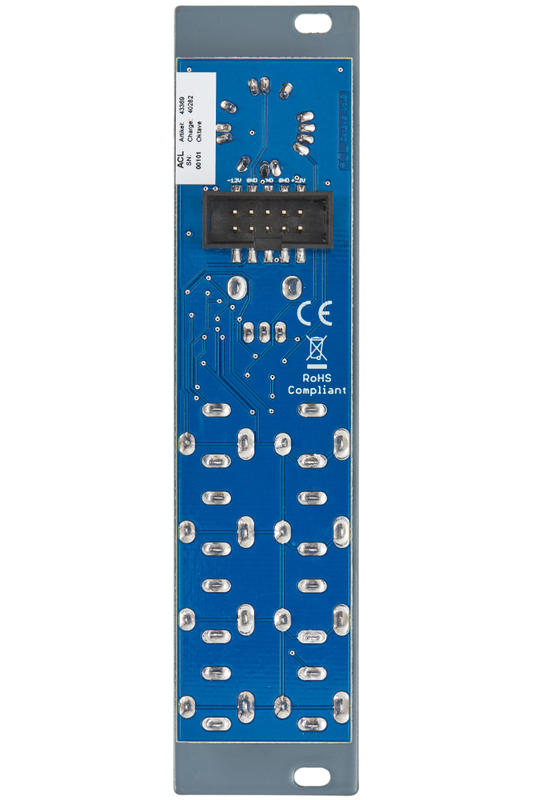 – Of course, it is possible to process other control voltages as well. 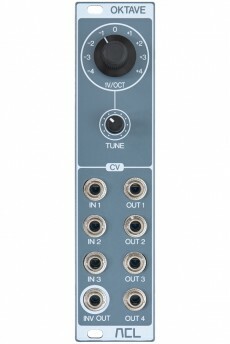 The module comes equipped with three inputs, followed by a mixer. For transposing signals, there is an octave switch and a fine tune potentiometer. Results are emitted via an inverted and four normal outputs. Thanks to an exact reference voltage and low-tolerance components, Oktave shines with high precision. 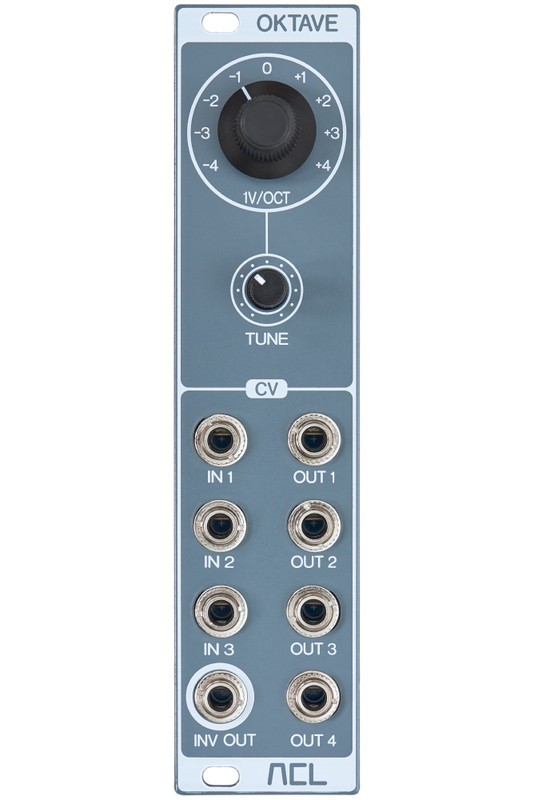 Oktave features three high impedance inputs. Incoming pitch CV signals are mixed and can then be transposed according to the standard 1V per octave. 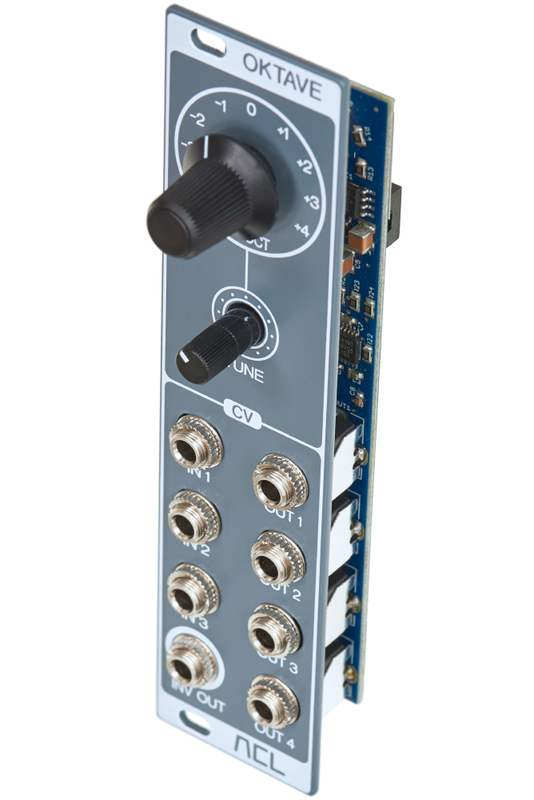 A rotary switch with a range of nine octaves (plus / minus four octaves respectively plus / minus four volts) and a fine tune potentiometer (plus / minus seven semitones) are available for this task. Results are emitted via one inverted and four normal outputs with low impedance.